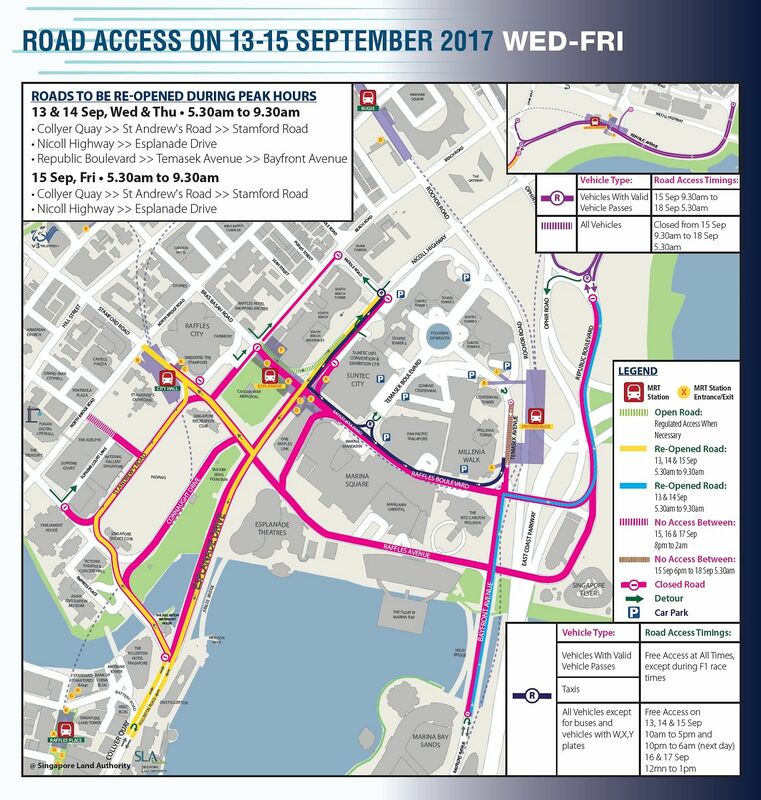 SINGAPORE - In preparation for the upcoming 2017 Formula 1 Singapore Airlines Singapore Grand Prix, roads in the Marina Centre area will be closed for slightly over six days, starting from 12.01am on Wednesday (Sept 13). Electronic Road Pricing (ERP) gantries within proximity of the race circuit will also not be in operation at various times from Wednesday to Saturday, as they may interfere with sensitive video transmission equipment used for the race. The Land Transport Authority (LTA) issued this reminder on Tuesday. The traffic arrangements were announced last month. 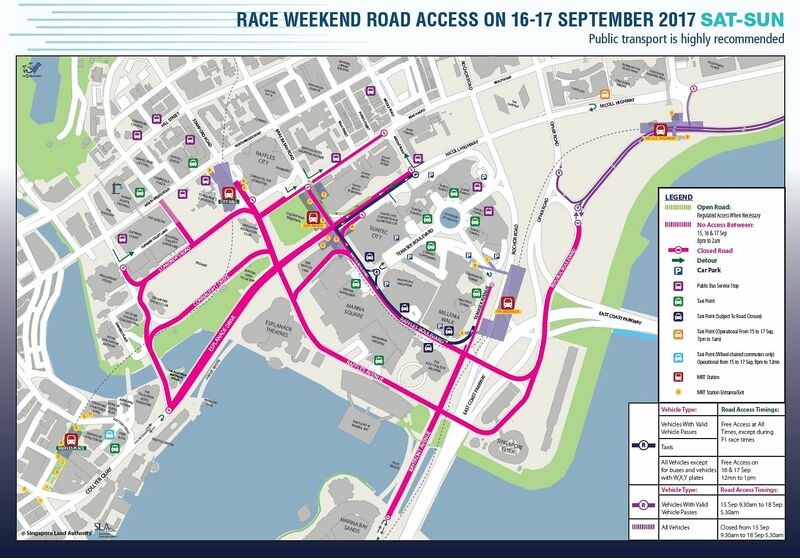 The road closures are to facilitate the setting up and dismantling of the race infrastructure, as well as for the night race this weekend (Sept 15 to 17). The organisers have made arrangements to ensure minimal traffic disruptions and improve accessibility, while allowing members of the public to carry on their normal daily activities in the Marina Centre area. 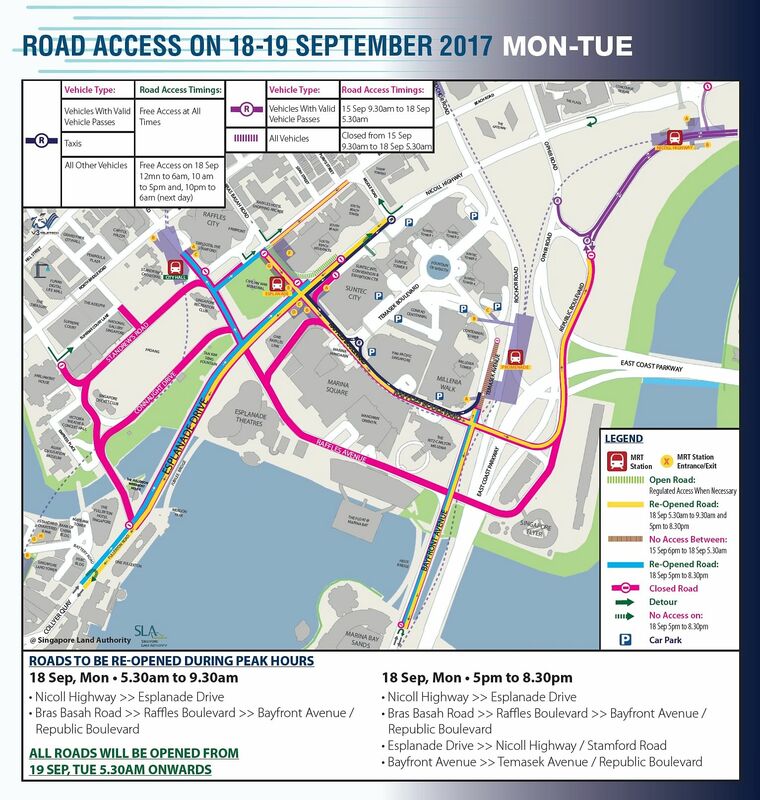 The affected roads will re-open progressively when the race is completed, with all roads fully accessible by 5.30am on Sept 19. On four of the six days, some stretches will remain open during peak hours, as indicated on the maps given by LTA. 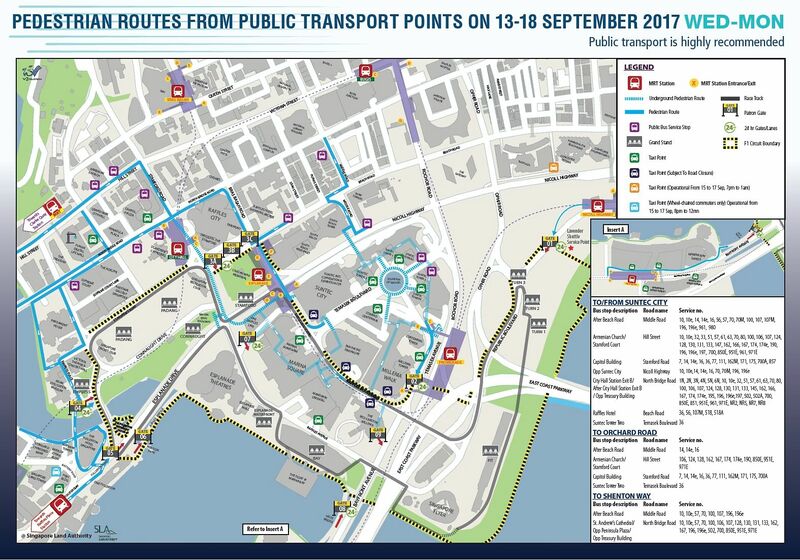 The affected ERP gantries are located on: Fullerton Road (towards Esplanade Drive); Fullerton Road (towards Shenton Way); New Bridge Road; South Bridge Road; Republic Boulevard; Temasek Boulevard; Bayfront Avenue (towards Raffles Avenue) and Bayfront Avenue (towards Marina Boulevard). These gantries will not operate at different times between Wednesday and Saturday. To ensure smooth traffic flow, auxiliary police officers will be deployed on site to direct traffic and assist the public. Road information and directional signs will also be put up in the vicinity to direct motorists. Car parks at Suntec City, Millenia Singapore and Marina Square remain open to public, subject to availability. For more information, visit the LTA and MyTransport.SG websites.